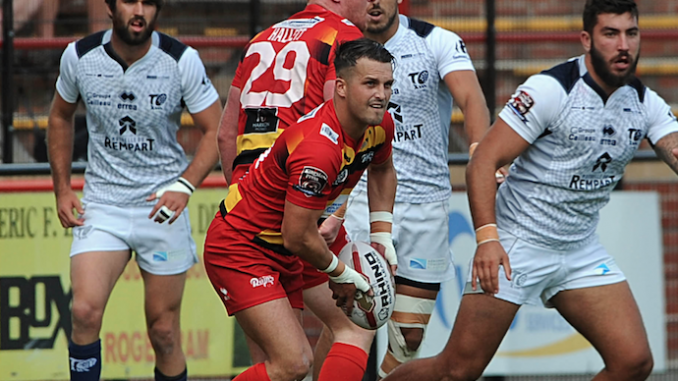 Dewsbury star Gareth Moore has decided to retire from rugby league, aged just 29. Moore signed for the Rams in 2017 and played a key role in helping the club avoid relegation and stay in the Championship. He was limited to just nine appearances last season though due to a number of injuries. Moore has now decided to call it a day and focus on his business. On his decision to retire, Moore said: “It comes with a deep heart that I have to retire from the game I have loved since I was four. “I have a fast-growing business what takes all of my time up and the commitment of been a semi-professional rugby player isn’t easy while doing this. I’d like to thank all the clubs that I have played for and coaching staff that have had to put up with me along the way. “I have met some great people and made some friends for life through the sport and this wasn’t an easy decision. I would also like to thank my wife for putting up with me over the last 12 years when results have not gone my way and also my father who has done everything he could during my career. Moore came through the ranks at Leeds Rhinos and went on to play for Batley Bulldogs, Featherstone Rovers, Halifax, Wakefield Trinity, York City Knights and Dewsbury. He also earned three caps for Scotland in 2009.